As they have been in much of the nation, waistlines in Virginia are growing. Dr. Jordan Le Tran at Virginia Integrative Medical in Winchester, Virginia, understands the toll excess weight plays on both physical and emotional health and provides medical assistance with weight loss for his patients. If you’re struggling to lose weight, call today or schedule a consultation using the online booking button. At Virginia Integrative Medical, the focus is on helping you stay healthy to prevent you from getting sick. Losing weight, even as little as 5% of your current weight, can significantly improve your health and decrease your risk of chronic problems such as diabetes and heart disease. There will be an in-house health coach and nutritionist with personal training to help individualize and personalize your path to success. Losing weight also makes you feel better about yourself and gives you a boost of confidence. You don’t need to follow a strict diet or cut out entire food groups to lose weight. Restrictive and fad diets don’t work because you can’t follow them for life. Dr. Tran wants to teach you how to eat right to get to a healthy weight and maintain it. He will coordinate your care with a team approach. There will be an in-house Health Coach and Nutritionist with presonal training to help individualize and personalize your path to success. The team customizes a treatment plan based on your health needs and weight goals. For good health and weight loss, the team recommends you eat a variety of foods from all the food groups, including fruits and vegetables, lean sources of protein, whole grains, and dairy foods or plant-milk alternatives-- avoid fad diets. The team follows your health journey with lab monitoring. To assist in your weight loss and meal planning efforts, Virginia Integrative Medical partners with BodEn Fitness, which provides healthy meals designed to fit your specific weight loss and fitness needs. Physical activity is an important part of every good weight loss plan. However, Dr. Tran understands that his patients have different fitness levels and he works with you to customize an exercise plan that helps you lose weight, strengthen your muscles, and improve heart and lung function. Virginia Integrative Medical works with BodEn Fitness, which provides customized fitness plans geared toward your health and weight loss goals, as well as personal trainers to help keep you motivated. What other treatments are available for weight loss? Dr. Tran may recommend nutritional supplements to assist with your weight loss program or help ensure your body gets the nutrients it needs for optimal health. If you’ve reached your goal weight and you’re unhappy about lingering pockets of fat, Dr. Tran may recommend laser lipo treatment to help sculpt the body you’ve already earned. 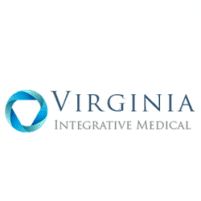 For professional help with weight loss from a caring physician, call Virginia Integrative Medical or schedule an appointment online.